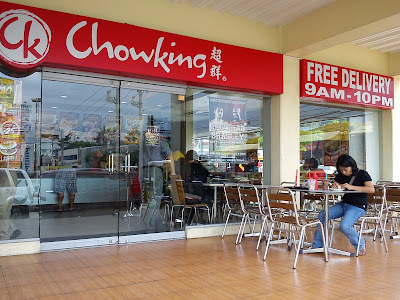 Home Food Reviews Chowking's Chow Pao! Chow King claims that the latest product they are now selling is the Chow Pao, umaa-PAO sa sarap! Nearly broke, we headed out to Mango Avenue to redeem the last voucher for a milk tea at Tea Serve. 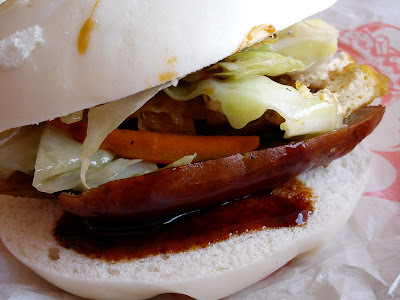 The newest Pao promises to fill the hungry with it's three variants: Chinese Sausage Special (with Veggies), Chinese Sausage, Chunky Beef and Braised Chicken. Prices start at Php25 to Php45. Chinese Sausage with special sauce. Yes, it would be a Php10 additional for the Sausage Special. It had fresh greens and a few julienne carrots and bits of egg or was that tofu? 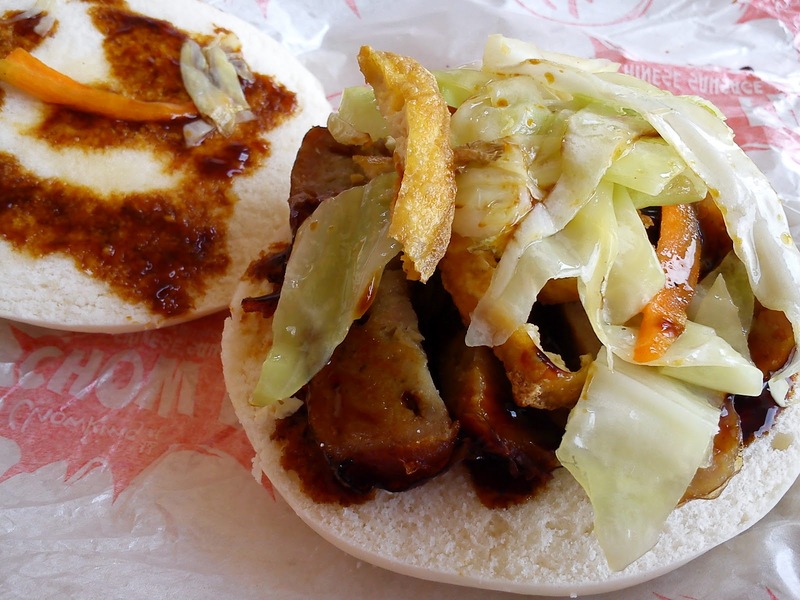 The bun tasted like grilled siopao dough, it tasted surprisingly alright. 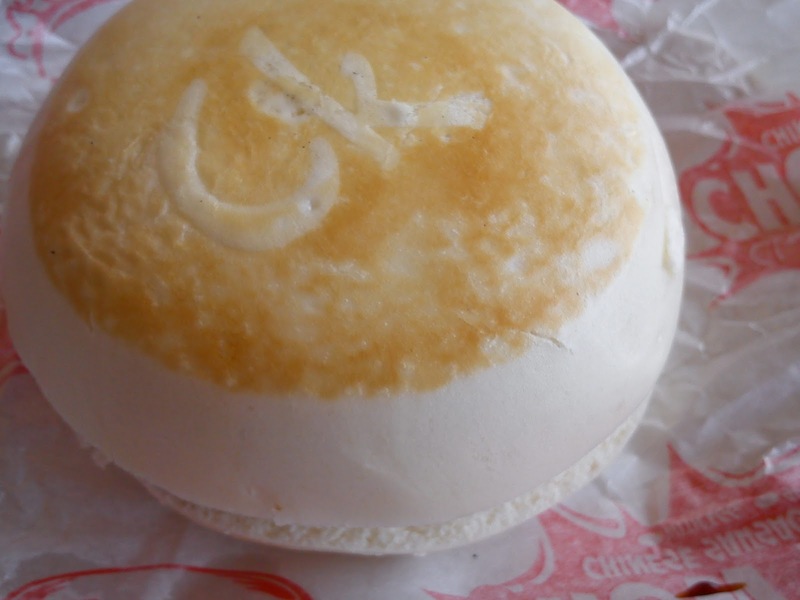 It was a bit of a chew but I think it was made that way to hold all the filling. You wouldn't want your ChowPao to fall into pieces. The wrap looked like the ones from a comic. It was fun and filling. Try the Chow Pao at your nearest Chowking branch. 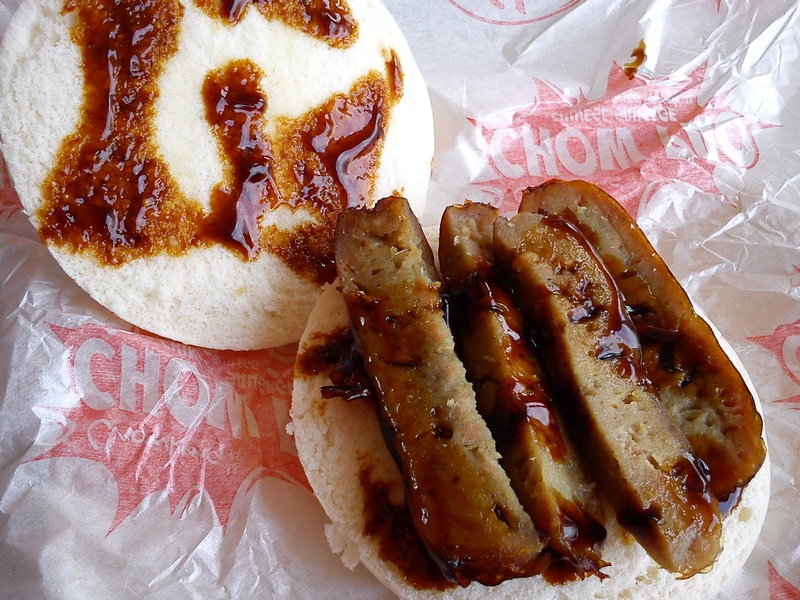 What are the sausages made of? Is that pure chicken? Will wait for you answer! :) I do not really eat beef and pork for health reasons. Hi kdman, I apologize for I failed to ask what the sausage were made of. I would recommend that you ask the staff about it before you order.